This post is my entry for the Korean Film Blogathon 2011. As the website that carries this blog is Hong Kong film-related, the way I’m approaching Korean cinema is in comparison with Hong Kong cinema. Some have dubbed the new renaissance of Korean cinema as the new Hong Kong cinema. While that statement is right in a superficial level (new emerging commercial cinema), I wouldn’t call it accurate because of the difference in the two systems. This will be a quasi-academic look at the two systems based purely on my knowledge. Hong Kong began making films around 100 years ago, but its viability as an internationally-recognized commercial industry didn’t truly come until the 60s with the rival studios/rise of Cantonese cinema, Golden Harvest in the 1970s, and the artistic New Wave in the 1980s. Much of its successes are industry-related, with audience demand mainly driving the type of films being made. As a result, I always dubbed Hong Kong cinema as a type of “hyper-commercial cinema”. This also applies to the current age of co-productions, where Hong Kong filmmakers are forced to make films with production companies in Mainland China because of its quickly rising box office gross and the government allowing HK-based co-productions to bypass quotas. The old overseas market for Hong Kong films, such as Malaysia and Taiwan, no longer earn much revenue, forcing filmmakers to modify (and sometimes recycle) formulas for a Chinese audience that they assume weren’t previously exposed to their works before. The development of Korean cinema is very closely connected to South Korea’s political situation, with history of government censorship (one victim of that I’ve seen is 1981’s THE BALL SHOT BY A MIDGET) and brief period of freedom in the 1970s. With government censorship of films ending in the late 80s, Korean cinema began to explore new social and other issues never explored before. However, audience levels remained low due to Hollywood presence, especially when they began to directly distribute their films. In late 1990s, Korean producers began to find new ways of investment for films, helping to elevate the production quality of films. With the South Korean government’s protective measure in the form of the screen quota (referring to the time a South Korean cinema must give to exhibiting local films) and increasing attendance at films like THE CONTACT, CHRISTMAS IN AUGUST, and of course, the record-breaking SHIRI, commercial Korean cinema took off to heights never imagined before. Over a decade after the breakthrough of commercial Korean cinema, it is now one of the biggest film industries in Asia. In addition to commercial success with local audiences, it has also earned critical acclaim with films by directors like Park Chan Wook (JSA, The Vengeance Trilogy), Kim Ki-Duk, Lee Chang-Dong catching international film festival recognition. Its own Pusan Film Festival has also grown to be one of the biggest and most important film festivals in Asia. In other words, in just one decade, South Korea has made itself a self-sustaining film industry, despite recent threats of a bubble burst. This section is going to be a short one, because there’s not all that much to say about Hong Kong independent films. Hong Kong government’s art development council offers funding for making of independent films, and there are a few organizations that facilitate the making and distribution of indie films (particularly Ying E Chi). However, the problem with Hong Kong indie film (In my opinion) is its reputation. Indie filmmaking is considered an alternative way of expression here in Hong Kong. This might be because Hong Kong cinema panders to commercialism so much that it widened the spectrum between commercial cinema and independent cinema. If indie films are made as a response to commercial films, then they will obviously be even artsy-er than your typical independent film from America or Japan. I won’t name any examples, but some organizations see “independent” as an expression rather than a mean of expression. In other words, some see “independent” as an excuse to make something tough to understand under the shield of being avant-garde and thought-provoking, not realizing that traditional definition of “independent” is in the context of funding. As a result, independent films in Hong Kong often feel like they are made for the filmmakers themselves rather than the audience. That creates a vicious cycle where people stay away from indie films in fear of watching something incomprehensible, and not enough cinemas have the guts (and the money) to take on the loss of playing indie films. No distribution, no audience. No audience, no distribution. Meanwhile, Hong Kong indie films are also rarely well-made enough to see play on the festival circuit (though LOVERS ON THE ROAD and CITIZEN KING - both Ying E Chi films - got festival play around the world), leaving less and less options for HK indie films to get the exposure they need. Meanwhile, YEC also tried to get its own Independent Film Festival off the ground after the infamous feud with the Hong Kong Asian Film Festival several years ago. However, its partial focus on beating out the HKAFF (mainly by programming it so closely to it and holding its annual press conference on HKAFF’s opening day) hasn’t exactly helped publicity or attendance. Every year, quite a few Korean independent films cross my path either via film festival or my own film reviewing work. They cover a variety of genres (though they mainly share a similar minimalist visual style) and various types of characters. However, many of them have one thing in common: They include government funding. In addition to the screen quota (which has been reduced to much protest), South Korea has the Korean Film Council to give funding to local films, including art films. Like Hong Kong, South Korea also has several film schools for film training. Meanwhile, the Hong Kong government finally started its own film fund a few years ago. 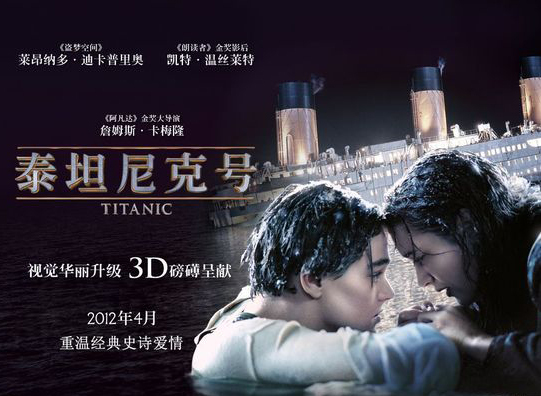 However, indie filmmakers have had little access to the fund due to constraints: 1) The film’s producer and/or director must have made two films, 2) The fund will only provide up to 40% of the funding, provided the film doesn’t cost more than HK$15 million, 3) the film must be “commercially viable” and 4) have secured third-party financing already. Of course, it did help films like the third McDull animated film, THE BREAK-UP CLUB, and Xiong Xin Xin’s COWEB (which still hasn’t seen any HK release) get made, but this still leaves many independent filmmakers out, especially when the words “commercial viable” is so subjective. Meanwhile, Hong Kong does have film schools. I know because I attended one of them. These film school students also have the annual Fresh Wave Competition, with all qualified productions each getting HK$40,000 to make a 30-minute short film. However, the Arts Development Council-sponsored contest recently made themselves independent of the Hong Kong International Film Festival, leaving them on their own to attract audiences. Also, my own film school is mostly made up of Mainland Chinese students who shoot their thesis films in China and seem to be aiming for careers there. In the end, there are plenty of opportunities for aspiring filmmakers in Hong Kong to make it, but it all ultimately goes back to quality. Hong Kong commercial filmmakers need to learn that “independent” isn’t a dirty word, and that it’s OK to make an audience-friendly film WITH personal expression. The Korean indie scene has its share of art films that are not audience-friendly, but they also have films that have attracted audiences not just at home, but overseas as well, making it a film scene with enough variety to attract all kinds of audiences. Of course, you can also say it comes down to audience numbers. It’s amazing for a city with just six-seven million people to have its own film industry, let alone an independent one, so perhaps we should be thankful for what we can get. However, I’d argue that keeping this miracle industry alive is an even bigger motivation for independent filmmakers to make works that would travel beyond their own friends. I’m not calling for independent filmmakers of Hong Kong to give up their voices, and I’m not calling for them to blame the government for a lack of support. I am calling for a better investment models, and more awareness by HK indie filmmakers of what their audiences want to see without losing themselves. Or they can all just move to Korea. Disclaimer: I can’t guarantee all the details in this blog entry are correct, but I can say that my general points are still valid.